Before becoming a Mum, I worked in a supermarket whilst I was studying English & History at Teesside University. I graduated from uni in 2011, got married and had baby George a year later, meaning any career options were put on hold. Don't get me wrong, I've loved the past 5 years as a stay at-home Mum. The freedom, the clean house, the blogging, the fun days in the sun with the boys, the shopping trips with my Mam and friends, the endless cups of tea and cake, etc, but I still felt as though there was something missing. I don't want to sound selfish as I know a lot of people would kill to be in my position and be able to stay at home with the little ones. It's been amazing, but I also wanted to put into our marriage and family financially and not feel as though I was completely relying on my husband. He's been great and has never made me feel this way, but it's only natural to want to do something for yourself. Trust me when I say it hasn't all been fun and games as it truly is hard work being at home with little ones all day long. Some days I felt like a glorified maid and felt like I was slowly losing part of myself. With my youngest son, Freddie, turning 2 earlier this year, I decided it was about time to start thinking about work and what I could do that would fit in around busy family life. 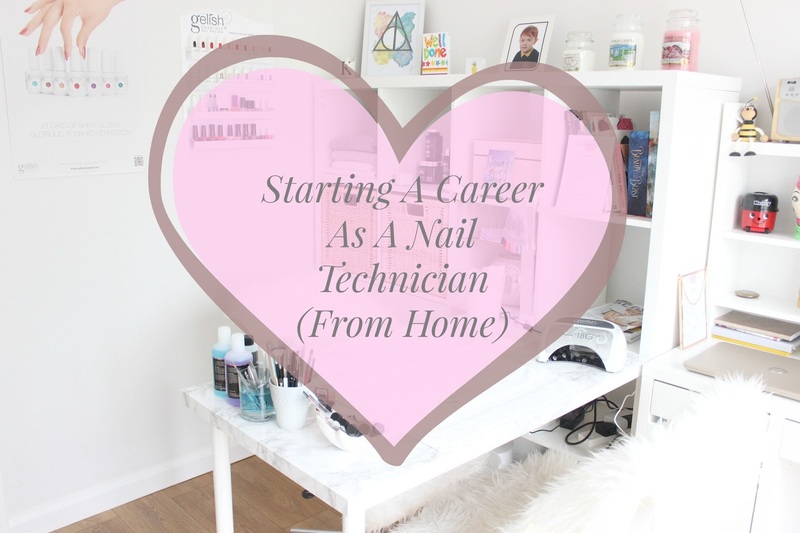 Having always had a passion for nail art, I often dreamt about doing it as a career. 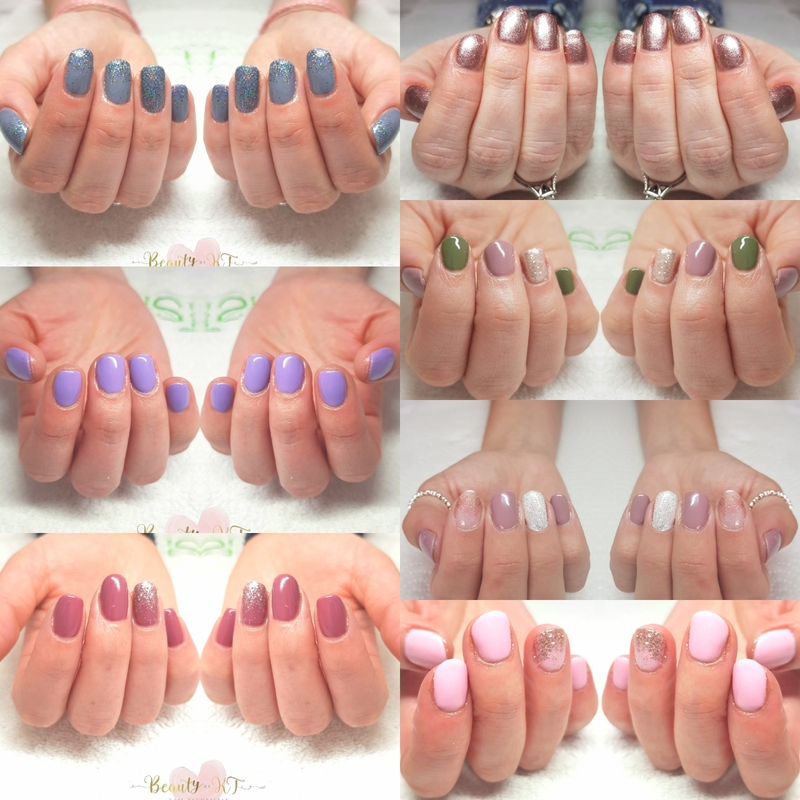 When gel polish was launched I often treated myself to a gel manicure and soon became hooked. I used to spend hours trawling Instagram and YouTube for nail art and gel polish but I wanted to learn more. I began thinking about how working for myself would be ideal. Working around school and nursery runs, George's appointments etc (George has recently been diagnosed with ASD). The only thing that was putting me off was finance. I knew it would cost a fair bit to train and set up at home and I was constantly doubting that I could do it. I talked to family and friends and they all pushed me to just go for it. In January this year I bit the bullet (with a lot of support from Martin) and booked my courses. I decided that if I was gonna do this, I wanted to do it properly. So I booked my courses through Nail Harmony (the makers of Gelish, Prohesion etc). They have educators all across the country and mine was based in Durham, which is just a 30 minute drive from home. Perfect. In February I nervously set away for my Manicure & Pedicure course, followed by my Gelish translation course a week later. I absolutely LOVED the courses. My educator was fantastic, I learnt so much and met some lovely girls who I now consider friends. I cannot get over the support and friendliness of everyone in the community groups on Facebook. Nail Harmony are a fantastic company and the support has been truly amazing. I instantly felt part of something and couldn't wait to get started. I had my kit, but needed to sort out a space to set up. We have a small office space behind our living room which was basically full of toys and general junk and I knew would be perfect so I claimed it as my own. It has doors leading out into the garden, so I'd be able to bring clients round the back way, keeping it a little bit separate from the rest of the house. I painted the room, got new flooring and new French doors fitted and a few weeks later I was ready to furnish it. A trip to IKEA was needed. I made my list, dragged my Mam along and off we went to IKEA Gateshead. We filled the car up to it's maximum potential, took it home and I then proceeded to stare with Bambi eyes at Martin (and my brother) until they got the screwdrivers out and built those flat packs. Cheers lads. I was now ready to go. I had my beautiful logo designed by a lovely girl called Rachel on Etsy (link). I bought my insurance, set up my Instagram & Facebook pages, got some flyers made and began advertising. I got such a fabulous response from friends and family and I'm now even getting strangers booking. Gotta love the power of social media. I couldn't be happier with my little salon space and I'm so glad I decided to do it. It's honestly the ideal job to fit in with busy family lifestyle. It's still early days for me but I'm starting to build up a loyal client base and I couldn't be happier. Turning 30 in August won't feel so bad now I feel like I have the perfect home and work life balance. I'm booked onto my next course in the amazing new Polygel this Sunday 4th June, so there's exciting things to come for me and my little business. I'll say to anyone who's considering joining the nail industry - DO IT! And don't listen to those saying 'there's far too many nail techs out there'. There's always gonna be a demand for pretty nails!